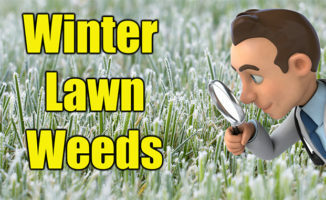 Winter lawn weeds should be dealt with BEFORE the temps start rising. 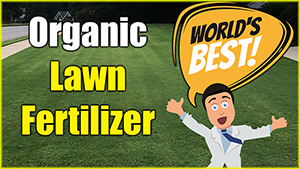 We want to treat winter lawn weeds now because our lawns are fairly dormant and really can’t be damaged by weed killers and pre-emergents. 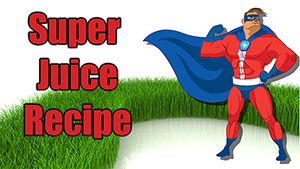 See some tips and FAQ below. 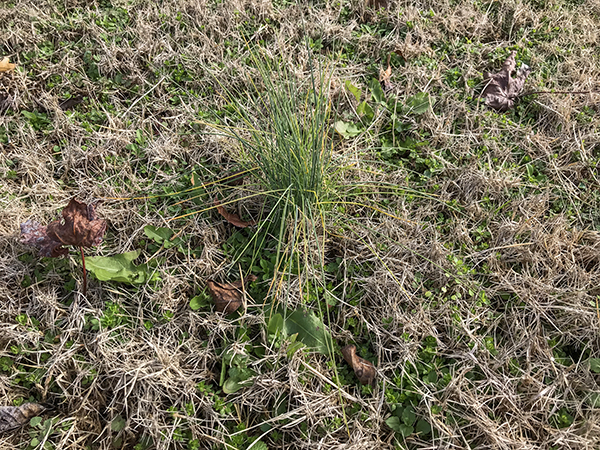 This is the time of year we start to think about → pre-emergents for our lawns, but also dealing with current lawn weeds. Most will start applying pre-emergents around late February – March. But the key is basing you treatments on soil temps. I do DOUBLE TREATMENT on my lawn because I feel pre-emergents are the most important step in great lawn. This year I will be putting out the granular pre-emergent show → HERE first… and then come back in March with the liquid on that page and treat again. I am probably more aggressive than most with pre-emergent but that is simply because I have seen over the years the EXTREME benefits of going heavy. Note: Always adhere to the label’s annual restrictions amounts. 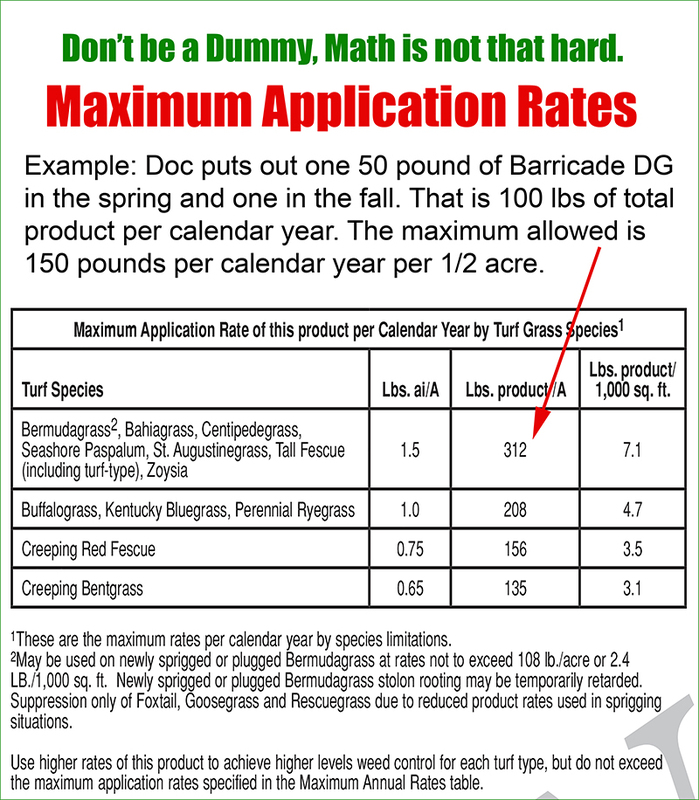 Each pre-emergent will have a maximum annual application amount printed clearly on the label. Do not exceed. Click the pic to better understand. 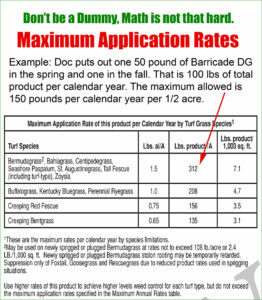 If you have NEW sod that is totally dormant you can put down pre-emergent now, in the winter, but do not apply as the warmer weather starts to move in. The rule of thumb is no PE for the first 6 months, but you can get by with some during total dormancy. PE can slow root growth on new sod. 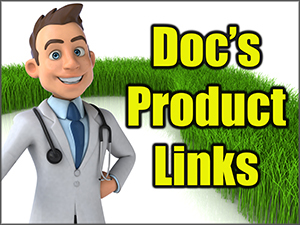 Again I stress… Putting down NEGATIVE products now is the key for a great lawn. 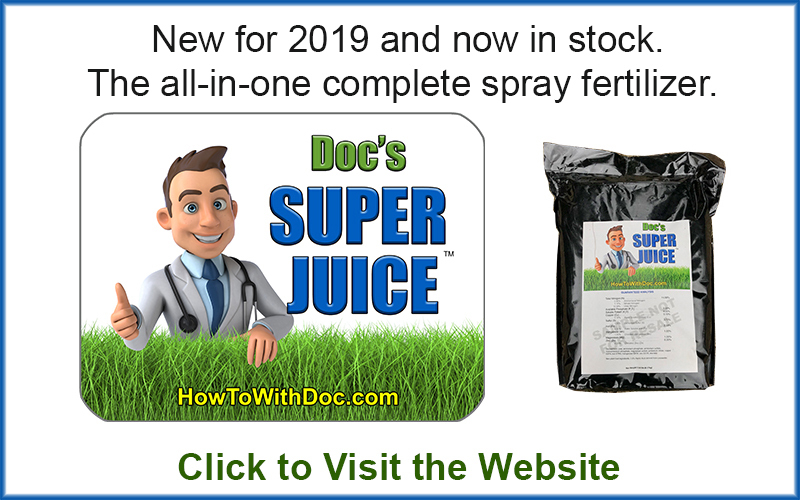 Come spring time we want to be pushing the living heck out of our Bermuda lawns with only POSITIVE products.